Do you love to play foosball, but don’t have room in your house for a full-size table? Then check out this teensy version of the popular pub game that’s small enough to fit on a bookshelf or your desktop. 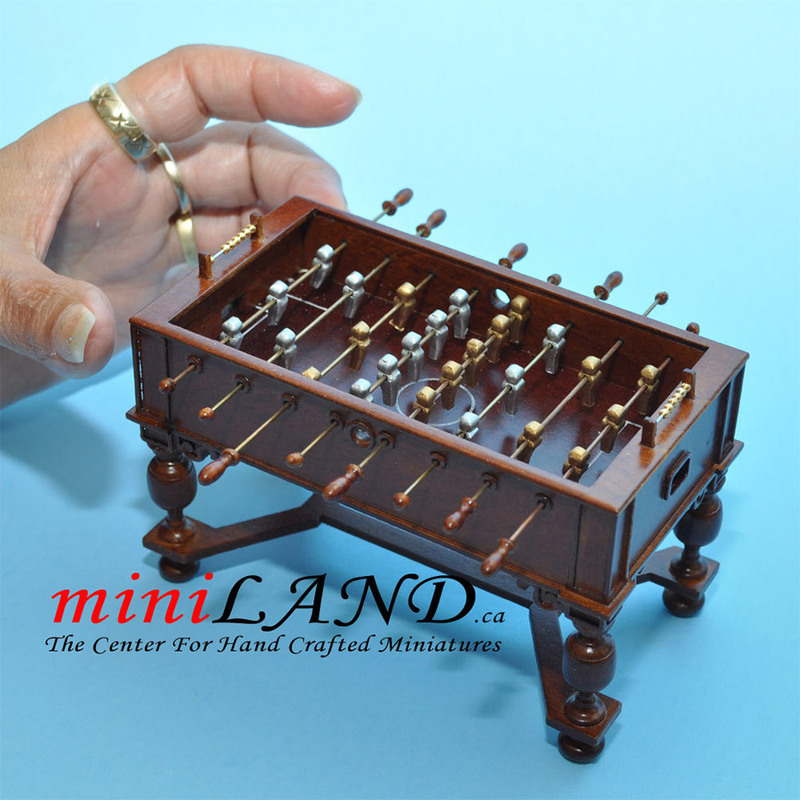 This handcrafted mini foosball table comes from Victoria, Canada’s miniLAND, and is spot-on accurate to the real deal. From the tiny, faceless athletes, to the abacus style scoring boards at the goals, it’s an impressive little model. While it’s clearly designed as dollhouse furniture, this is a cool desk accessory for any foosball fan. The only thing that isn’t clear is if it’s actually playable. One reviewer mentioned that the “soccer players move around a bit” so that gives me hope. You’ll just need to figure out something to use as a ball. I’m thinking a ball bearing would do the trick nicely. You can get your hands on the mini foosball table over at miniLAND’s Etsy shop for $76.95(USD). If you find that it’s too small to be playable, there’s always this version.